Everyone loses or misplaces their keys once in a while. It’s frustrating and only seems to happen when you’re extremely busy. If you’re like me, your mind draws a complete blank and it’s as if you’re going to be separated from your precious keys forever. You can see them in your mind but they always end up in a place you have no memory putting them. It’s an all too common problem many of us face every day. However, with some clever tricks and training, you can avoid this cruel aspect of car ownership altogether. 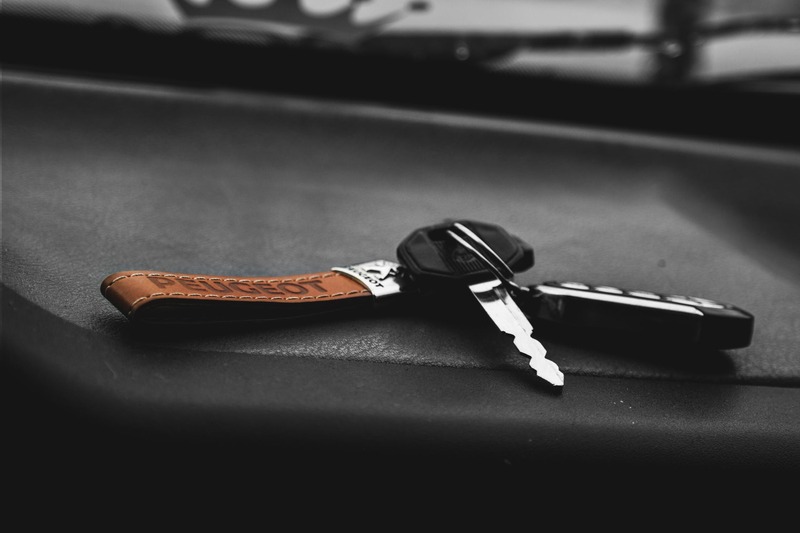 We’ve put together some creative ways to help you never again misplace or lose your car keys. Setting up a magnetic strip or board with magnets allows you to have fun while putting up your keys! Simply toss your keys at your magnetic board and watch them stick like glue. This is a great way to keep keys readily accessible for anyone who may need them and keep keys away from small children who like to hide keys when we aren’t looking. Make sure to use strong magnets so they can hold bulky keyrings and keychains with key fobs. Believe it or not, when it comes to finding your keys, there’s an app for that! Apps like Tile Mate come with a small “tile” shaped key fob that syncs with an app that allows you to track the tile and prompt an auditory alert to its whereabouts. The app works on both iPhone and Android phones and uses the Bluetooth signal for connecting. The great thing about the Tile Mate is that you can place it in your purse, luggage, or anything you need to keep track of. If you lose your phone, the Tile Mate app allows you to click the keychain tile prompting your phone to send out an alert. Amazing! It may sound a bit silly, but looking at your keys when you put them down can greatly improve your chances of remembering where they are. If you have to put your keys in a strange place, stare at them for a good 2-3 seconds and take a visual inventory of your keys and their immediate surroundings. Those 2-3 seconds may save you from 2-3 minutes (at least) of searching later on! A fantastic way to keep your keys from getting lost is to always attach them to something you won’t lose. Clipping keys to a belt loop or purse strap will ensure you know at all times exactly where your keys are going to be. Clipping keys to a purse strap ensures they can be found in seconds and your significant other doesn’t have to spend the rest of their life thrashing your favorite purse. Clip on keychains are a great way to store keys when not in use, as well. Many companies make damage-free hooks that stick to virtually any surface using powerful adhesive strips. You can paint them different colors to match the colors of your vehicles or each member of your family can choose their own special way of styling their key hooks. You should always have one or two key fobs ready for when your keys truly get lost. In the event of an emergency, it’s a good idea to have a key fob handy stashed in a convenient place. A magnetic key box can be discreetly hidden under the vehicle’s frame to safely house your backup key fob ensuring you never get locked out again. Replacement key fobs are much more affordable than they used to be and can be programmed to your specific vehicles in seconds. Check out Keyless Entry Remote Inc. to find the right OEM key fobs at discounts of up to 80% compared to dealerships and other retailers. So, these are just a few ways you can avoid the frustration of looking for or losing your keys. Feel free to pick more than one to ensure you have several methods on which you can rely. What are your worst horror stories about losing your keys and what methods do you use to keep them safe? Share your stories and thoughts in the comments below!